კოლა — გამაგრილებელი სასმელი, რომელიც შეიქმნა ქალაქ ატლანტაში 1886 წელს, ჯონ სტიტ პემბერტონის მიერ. Hay Cola: სომხეთში ჩამოსხმული სასმელი, რომელიც აწარმოებს ორიგინალ კოლას და სხვა ხილის სასმელებს. 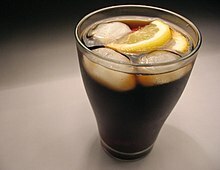 ROYAL KIK Cola: პოპურალურია სამხრეთ ინდოეთში. B Cola: პოპურალურია სამხრეთ ამერიკაში. Alsi Cola: პოპურალურია საუდის არაბეთში. Future Cola: ბრენდი მდებარეობს ჩინეთში. 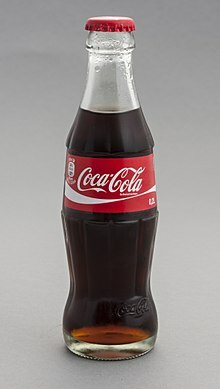 Laoshan Cola: ბრენდი მდებარეობს ჩინეთში. Est Cola: ბრენდი მდებარეობს ტაილანდში. Red Bull Cola: პოპურალურია ტაილანდში. Brisa Cola : ბრენდი მდებარეობს პორტუგალიაში. Cola Nova: ბრენდი მდებარეობს კიევში. Cola Turka: ბრენდი მდებარეობს თურქეთში. კოკა-კოლა: ბრენდი მდებარეობს ატლანტაში და ჯორჯიაში. პეპსი: კოკა-კოლას ყველაზე დიდი კონკურენტი. Royal Crown Cola: პროდუქცია ეკუთნის Dr Pepper Snapple Group– ს.
Shasta Cola: პროდუქცია ეკუთნის Shasta (soft drink)– ს.
Lulú Cola: ბრენდი მდებარეობს მექსიკაში. Chiva Cola: ბრენდი მდებარეობს მექსიკაში. Big Cola: პროდუქტი ეკუთვნის კომპანია Ajegroup-ს. Perú Cola: პროდუქტი ეკუთვნის კომპანია Embotelladora Don Jorge S.A.C.-ს . Kiwi Cola: ბრენდი მდებარეობს ახალ ზელანდიაში. Bickford's Old Style Original Kola პროდუქტი ეკუთვნის Bickford–ს . ↑ ('My Cola' breaks new ground. theSundaily. წაკითხვის თარიღი: September 29, 2013. ↑ Ajegroup. Ajegroup. წაკითხვის თარიღი: September 29, 2013. ↑ Grupo Perú Cola - Hoy el Perú sabe mejor Spanish. Donjorge.com.pe. წაკითხვის თარიღი: September 29, 2013. ↑ "Bickford's Old Style Original Kola"
ეს გვერდი ბოლოს დარედაქტირდა: 20:17, 16 აპრილი 2018.